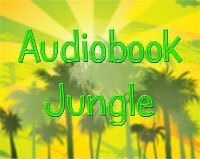 Audiobook Jungle readers can get this or any other audiobook for free with a new Audible account. Click the image to sign up and download your free audiobook. So we have another classic book here at the Audiobook Jungle. Quite a different work from The Brothers Karamazov, which was the last classic audiobook I reviewed. Let’s start with some expectation adjustment. Modern readers have certain expectations of books. The writing style, the plot structure, the themes are all done differently done nowadays than when the novel was first published in 1813. Heck, that was two full centuries ago! Even the language sounds different. This is my recommendation for everyone that is going to read Pride and Prejudice or classic literature in general – expect it to be different. I’m not going to dwell too much on the plot because at this point there are probably millions of reviews and summaries of the book and to be honest it’s not that complicated of a story. It’s a critical commentary on 19th century society of England where marriage is an economic activity and has nothing to do with love. It’s just a way for women to get material security through the fortune of their husbands and men are seeking nothing more than to establish their positions in society through the woman’s family connections. Pretty depressing, isn’t it? It’s interesting to see the main protagonist – Elizabeth struggle in such a superfluous and hypocritical society. She’s a sharp and witty young woman that doesn’t quite fit the stereotype of what a girl should be like. I see how she can be a relatable character for young women even in this day and age. We see the story unfold mainly through her point of view which turns out isn’t the most true or accurate. This, in my opinion is the takeaway from this book – no matter how smart you think you are or how easily you think reading other people is, you can’t know enough to judge them. You’re blinded by your own pride and prejudice which keeps you from seeing how things really are. The narration of this audio edition is very interesting. 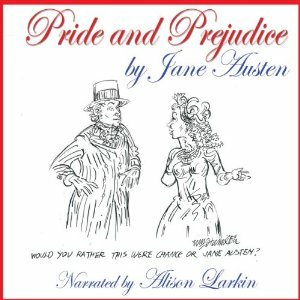 Alison Larkin is a wonderful British lady that delivers the best possible way to enjoy Pride and Prejudice with some unforgettable performances. I especially enjoyed the overly dramatic rendition of Elizabeth’s mother – Mrs Bennet. In conclusion, I think reading Pride and Prejudice is a curious experience similar to an archaeological expedition. You see a slice of life that happened a very long time ago and while expecting to grasp the full zeitgeist of the period isn’t realistic, it’s still quite interesting. Don’t expect entertainment like you do with modern popular books or you’ll find it a very boring read/listen.